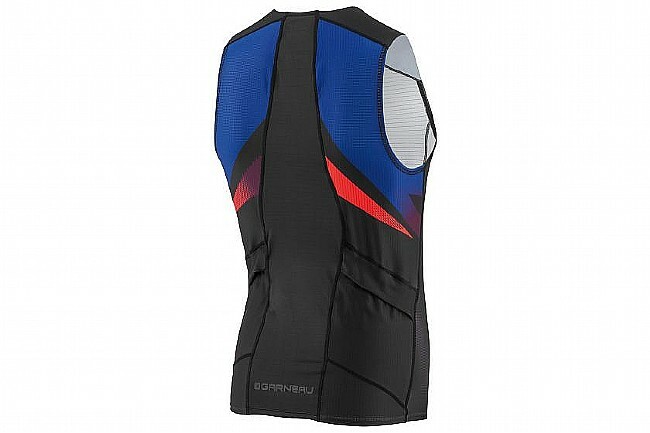 Pearl Izumi’s Men’s Pro Carbon Comfort Triathlon Top 2018 delivers supportive, performance-oriented features thanks to the power of carbon fabric technology. The compressive properties of Carbon-X Mesh facilitate blood circulation, increasing your resistance to fatigue so you stay stronger longer. CB Carbon Slick is a breathable, moisture-wicking, and chlorine-resistant fabric with antistatic properties that helps with blood circulation as well. Coldblack® treatment generates a cooling sensation, giving you an edge over your competition, especially on those hot, sticky days; it provides sun protection as well, up to SPF 50. 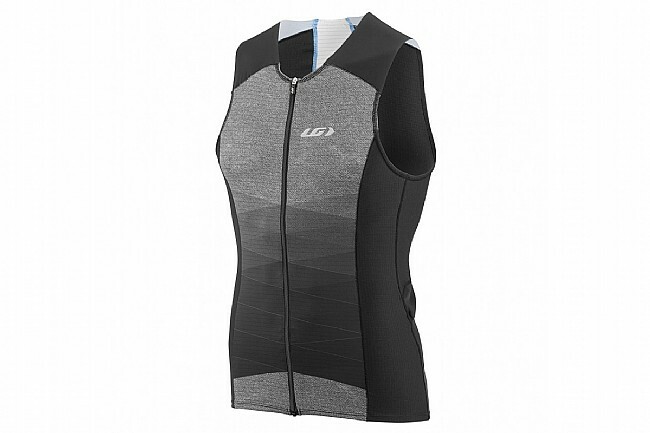 The laser-cut Micro-Activ shoulders and sleeveless arm holes are smooth and friction-free. 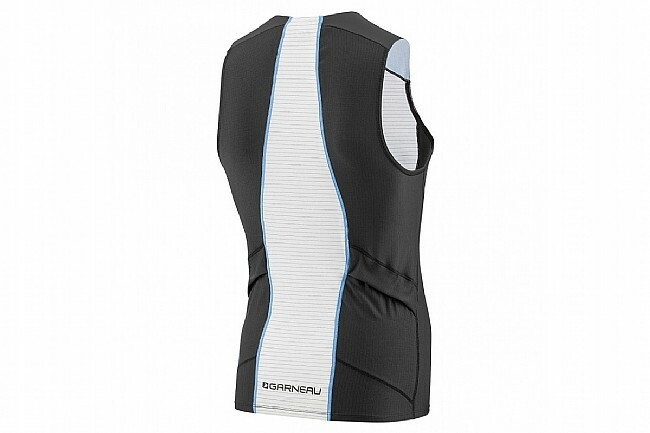 Tri-specific seaming and mini-stitching throughout the top help reduce friction as well. 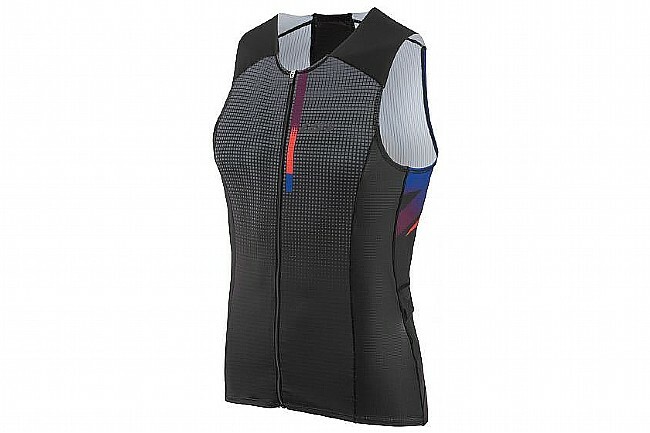 Two pockets in the back provide the storage space you need for essential training and racing items like gels, bars, etc.